Uptown Update: Do You Have The Time? 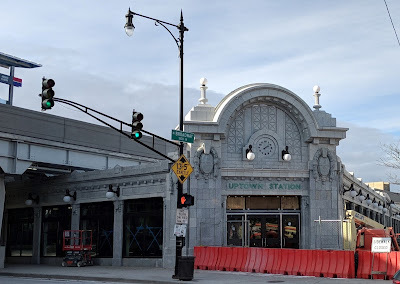 For the first time in over 60 years, if someone asks you for the time at Broadway and Wilson, you don't have to look at your wrist or smartphone. You can simply gaze upon the Gerber Building because the clock is back. Two lighted pillars have been added on each side of the arch as well as on both sides of the clock. Lighting still has to be added to the underside of the arch. If you pass by at night, it is certainly beautiful. 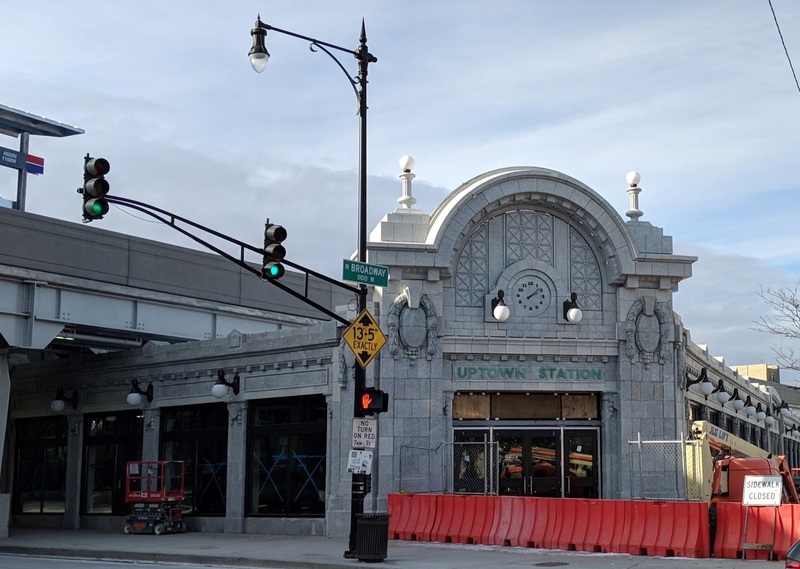 Doors have also been installed under the iconic "Uptown Station" sign and a new floor has been poured inside the large retail space. Sometimes only Monty Python can express my feelings. That corner looks Great..